Blepharoplasty is an aesthetic surgical procedure that corrects/modifies defects, deformities or disfiguration of the eyelids. It involves excision, removal and/or repositioning of excess tissue and reinforcement of the muscle and tendon tissues. 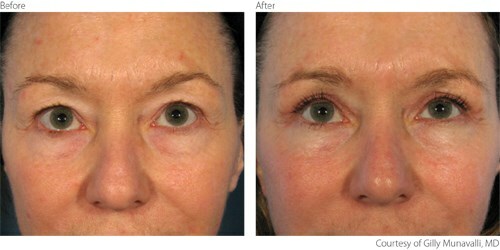 Patients undergo blepharoplasty procedures in order to restore functionality of the eyelids and improve the appearance of the eye-region of the face. Lumenis® offers a complete laser blepharoplasty solution that combines an incisional solution with complementary eyelid resurfacing. The AcuPulse™ as well as the UltraPulse® systems have an incisional handpiece that provides excellent surgical precision during treatment. With laser assisted incisions, bleeding during the procedure as well as post-surgery bruising are reduced. The systems are also equipped with fractional ablative skin resurfacing modes that offer excellent skin rejuvenation results in the surrounding periorbital areas. Ultimate versatility in one system, allowing both the required incisional mode as well as the complementary eyelid rejuvenation using fractional ablative skin resurfacing. Optimal results and treatment control with Lumenis’ unique short pulse technologies UltraPulse® and SuperPulse™ allowing the best ablation/coagulation ratio. The ablative technology is available in the UltraPulse® and AcuPulse™ products. 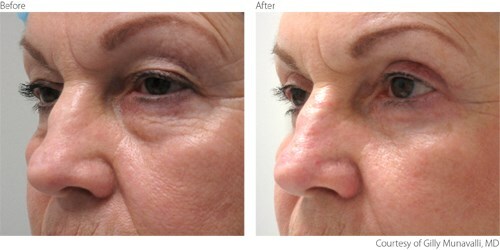 For the Lumenis non-ablative solutions please see Non-ablative resurfacing.